Have you ever wondered why the taxis mostly yellow? Why not red, green, black? Although you might think that this is a random selection of colors, it is actually based on science! 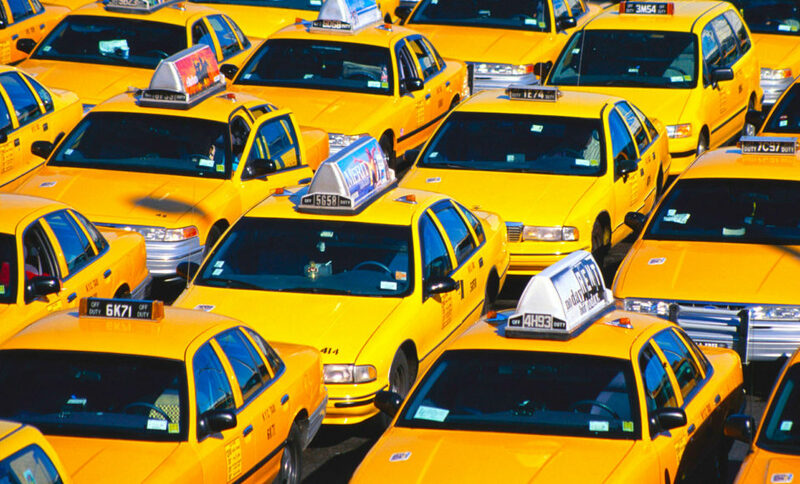 In fact, one study at the University of Chicago showed that the yellow color most visible in the crowd, and therefore the most appropriate vehicle for taxi. It is not sure when he first decided to «dye» vehicles in that color. According to one source, it’s done, John Hertz, founder of the Yellow Cab Company in Chicago in 1914, just after the aforementioned study. According to another source, the first «took brush in hand» Hari N. Alen, who is also the first «brought» a taxi from France to New York. As both sources state that the main motive for the selection of the yellow color was just the visibility of these colors, we can say that about the same time decided to paint their vehicles so. Hence this «trend» and conveyed to the whole world, and soon «yellowed» and taxi vehicles worldwide. The question remains: why today it is less yellow taxis? The reasons may be that there are plenty, and one of them is, of course, financial. Imagine how much it would cost the taxi company to each of their vehicle must repaint. Further, the reason may be the fact that the fight is now attracting attention in other ways. Naxis, say, fighting for your attention to quality service, high quality and comfortable vehicles, a simple indication of the vehicle (from your mobile phone just dial * TAXI), the possibility of ordering the vehicle via Twitter (just let us Tvitni address @NaxisTaxi), a free application for Android ordering a vehicle with just a few clicks, and so on. Now that you know why the yellow taxis, and why some are not, and why is Naxis best choice, do not forget to call us when you go for a night out.